This is an unnecessary back surgery case filed by a man residing in Carroll County. It was the 27th medical malpractice case filed in 2017, and was filed in Health Claims Arbitration on January 17. Plaintiff is admitted to Sinai Hospital for a L2-3, L3-4 and total L4-5 laminectomies, medial facetectomy, foreaminotomy, and a small dural tear at L4-5. He is discharged the following day. Less than a month later, plaintiff is admitted again at Sinai Hospital for a lumbar wound complication. Beginning at this point, he has continued to suffer problems from the surgery he had done on his back. He files this claim, alleging the defendants were negligent by performing an unnecessary and improper procedure. A laminectomy is often on patients with a herniated disc or spinal stenosis to relief pressure on the nerve roots. Often a laminectomy is done with a fusion. But if the doctor thinks a good surgical result can be achieved with laminectomy alone, then it is a good path because it is significantly less invasive and less risky procedure than a laminectomy and fusion. Plaintiff also had a medial facetectomy which is the removal of the spinal facet of a vertebrae, which is one of the bones that forms the opening that the spinal cord passes through. this surgical procedure is usually performed in combination with a laminectomy. It enlarges that the passageway in the spine where a spinal nerve root exits the spinal cord. Patients requiring medial facetectomy typically have facet joint syndrome from degenerative changes in the spine. This means the cartilage surrounding the facet joints are suffering from significant wear and tear. 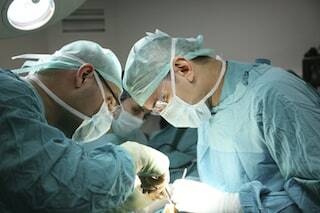 The third procedure performed on the plaintiff was a foraminotomy. This is really a part of the laminectomy procedure. This involves decompression of the spinal cord and nerve roots. A foraminotomy actually opens the bony canal (the neural foramen) through which the nerve root exits the spinal canal. When you have a hole that exits with the nerve exit, it's called the foramen. "Otomy" means making it bigger. So a foraminotomy is just making that hole bigger. Nerve root damage and paralysis are known risks of a foraminotomy but it is considered a relatively non-invasive procedure. This is a pro se complaint which means the plaintiff is acting as his own lawyer. The complaint offers view details. But the plaintiff was smart enough to draft language that probably survives a motion to dismiss, at least with respect to the neurosurgeon. The claim is two-fold: unnecessary and improper procedure. But the plaintiff needs to supplement this complaint with an expert report that details the negligence or this claim will be dismissed. Because the case was filed just before the statute of limitations, a dismissal would be with prejudice (which means it cannot be refiled). If you believe you have sustained an injury due to the negligence of a doctor, Miller and Zois can help you get the compensation you deserve. Call us today at 800-553-8082 and speak to one of our attorneys, or get a free case review online.